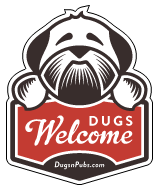 Dog Friendly Pubs, Cafes, Shops & Accommodation in Stirlingshire, Scotland. We aim to cater for everyone, so whether you are just out for drive, on yer bike, or taking a day trip walking in the hills (dogs are also welcome in the bar area) drop in and see us anytime. There are a total of 64 dog friendly listings in the Stirlingshire category. Please log in, or sign up as a member to view all listings.